Incredible, you are good to go for the dog preparing school you had always wanted. Presently, we are acquainting you with the 10 concealed diamond schools with 5-star Yelp evaluations that represent considerable authority in the kind of dog preparing you are searching for. Simply ahead and locate the one for you! 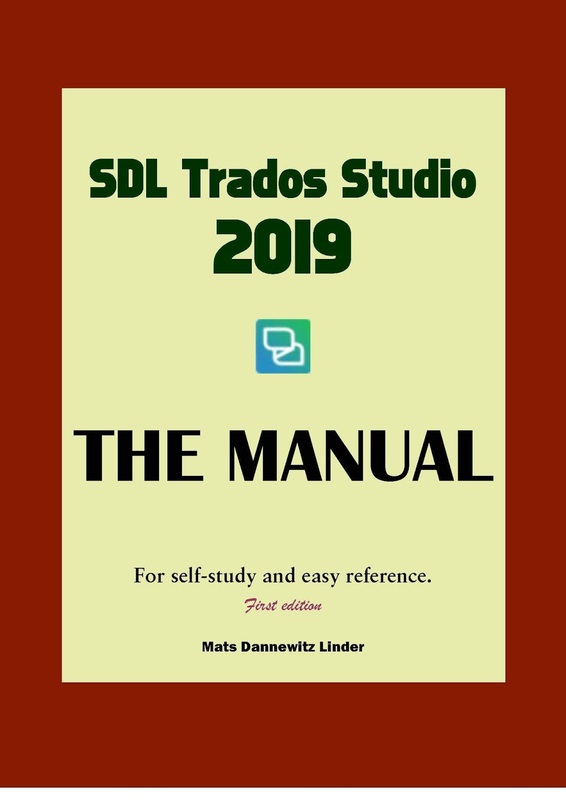 Mats Linder has been publishing (and regularly updating) his "SDL Trados Studio Manual" for many years now, thus providing an indispensable service to all users of SDL Trados Studio, who otherwise would be left at the mercy of SDL's own obscure documentation. 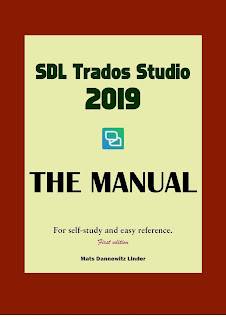 He has just released the newest version of the manual SDL Trados Studio Manual 2019, updated to cover the most recent version of the program from SDL. 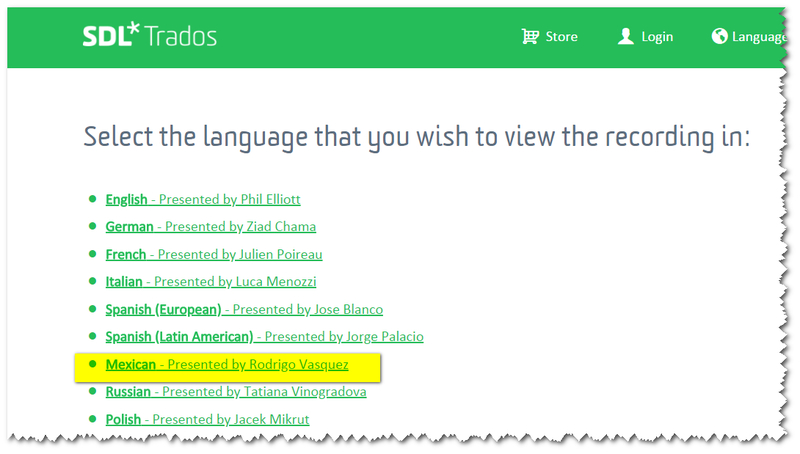 The new version of the manual describes what's new in Studio 2019, as well as the features offered by new plugins released in SDL's app store since the previous version of the manual. 573 pages. Xxxx from XxxxXxxxx says Hi! I am a project manager at XxxxXxxxx, and I am very pleased to send you this email, offering you a unique opportunity. Let me tell you about my company's point of view in some detail. Due to the crazy, competitive market we face, our company has established its method, which is based on filling the gap between translators and the translation projects that are most appropriate for them. 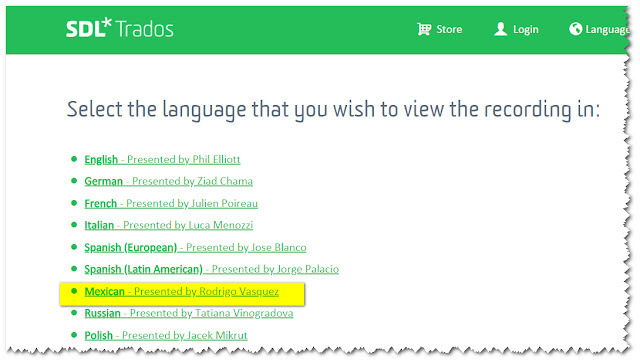 To do that, we make some tiny changes to the translators' CVs before sending them to our clients. These changes might include removing their contact details and replacing it with ours. This is done so that they don't need to bother themselves with loads of emails. We are going to be the one to contact the client, discuss the project, and then send it to our translator who will definitely be able to make much more money through this saved time. To accept the offer, have a look at our authorization template (attached), have it signed, and then send it back to me along with your resume and cover letter.Finally, I would like you to know that we at XxxxXxxxx have got a highly qualified team of project managers, all of whom work in harmony with a great number of competent translators. And we would be thrilled to welcome you to our team, and to help you reach your full potential through this job!If you have any questions, feel free to reply to this email. There is no need to say that accepting their "unique opportunity" would be foolish in the extreme: you would in effect authorize them to use your résumé for their own purposes, and nothing would then prevent them from sending any translation job received thank to your résumé to some cheaper translator or even to a free machine translation engine. Stay away from this: they are not offering a service: it cannot be anything other than a new scam. In creating this guide, I have consulted dozens of authorities, both online and in print. Where the authorities disagree, I either have explained the various positions or have presented the style I believe to be most useful. The Punctuation Guide was created by Jordan Penn, a longtime enthusiast of American language, usage, and style. The Volokh Conspiracy, a law blog, recently published an interesting article on some legal implications of the use of Google Translate: "Google Translate" and the Law of Consent Searches. Sometimes we receive Bitly shortened addresses in e-mails, or sometimes we see them in tweets or blog posts. The problem is, how to be sure that clicking on them won't redirect us to a malicious address? Not content with providing some of the best-known software tools for translators, SDL, a language technology company, is apparently hard at work inventing previously unknown languages. 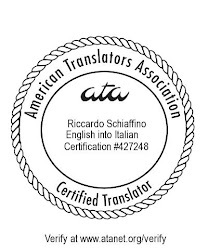 The proof: recently translators have been receiving messages to offer them free training. and apparently that training is available in multiple languages. When asked about the new language, SDL representatives said they could not answer right now about Mexican, as they were busy at work developing other new languages, including Swiss and Belgian. They confirmed, however, that work on the Yugoslavian language had been definitely put on hold, as news that the country of Yugoslavia no longer existed had finally reached SDL's headquarters. With SDL Trados Studio 2017 Cumulative Update 9 (CU9) the Xbench Edit Segment (Ctrl+E) feature may stop working (it does not open the Studio document). What tools do technical writers use and prefer? As translators we have to deal with the work of technical writers, but apart from some obvious programs (like MS Word), we often don'know the tools that technical writers use in their work. For a look at what tools technical writers prefer, see Technical Writing Tools: The Ultimate Choice of 83 Experts. I'm currently developing a course on CAT tools for the University College of Denver University. 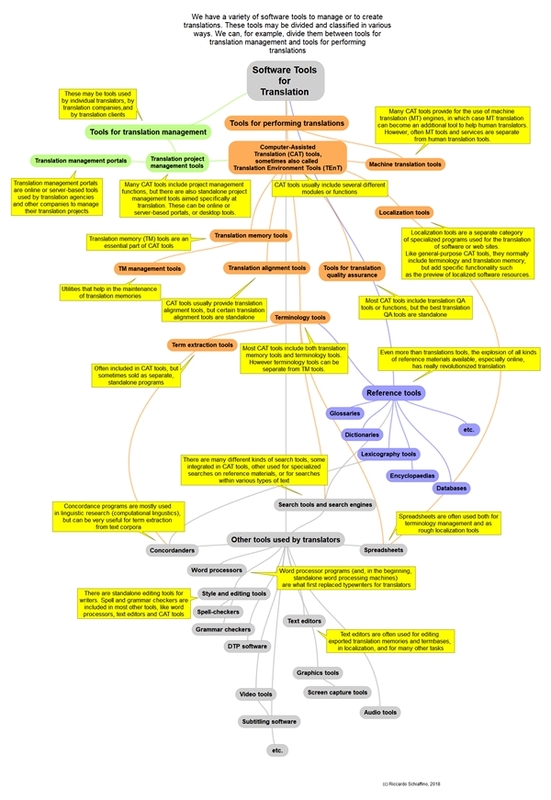 I find mind mapping useful to generate and organize my ideas, so I created a mind map of the kind of software tools used by translators - CAT tools, of course, but also other types of tools, from those that help us manage our projects, to those we use for more specific tasks. I asked Jost Zetzsche to take a look at my mind map, to see if he had any suggestions about types of programs I might have forgotten or things that should be changed. Jost gave me some suggestions, and asked for a copy of the infographic for his Tool Box Journal. You can click here for a larger copy of the file, and here for a downloadable pdf. I'd appreciate any suggestion or idea for future improvements.